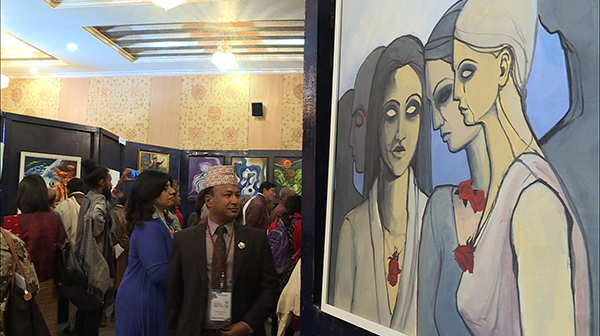 For the first time, Bhutan is hosting SAARC Artist Camp for painting in Thimphu, this year. Thirty seven artists from SAARC countries, including Bhutanese, are taking part in the four-day long camp which began today. 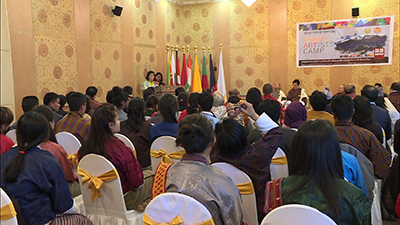 The SAARC Cultural Centre, Ministry of Home and Cultural Affairs and Royal Government of Bhutan are jointly organising the camp. Artists will be given an opportunity to paint on the theme “Ancient Landscape”. The paintings they will work on will be exhibited on April 28. The initiative is to strengthen relation among the South Asian Countries.